While President Donald Trump, his family and staff are away in Bedminster, New Jersey, for an 11-day working vacation, the White House will be getting a summer makeover. Workers could be seen coming and going from the White Hous, where updates are underway, including structural repairs to the wooden arbor in the Jackie Kennedy Garden, repairs to wood paneling and faux walls in the West Wing dining room, new plumbing in the Navy Mess kitchen, and the completion of a six-year heating and cooling update the East Wing. President Trump said there's a lot of work going into the renovation. "It's a long-term project, and they approved it years ago, and I said, 'Well, I guess this would be a good place in the meantime,'" he said Thursday. "So they're doing a lot of work at the White House. I miss it. I would like to be there, but this is a good way of doing it." The total cost for this summer's renovations is roughly $2 million, and has been split between the National Park Service and the General Services Administration, according to the White House. "These projects are a continuation of the renovations last summer that have been planned for a significant time," White House Deputy Press Secretary Lindsay Walters. It's typical for the White House to get routine work done while the president is away. Last summer, new carpet was installed, the South Portico steps were replaced, the Oval Office got a makeover, and updated furniture was brought into the White House. The White House says all of the materials for this year's facelift were "made in America." 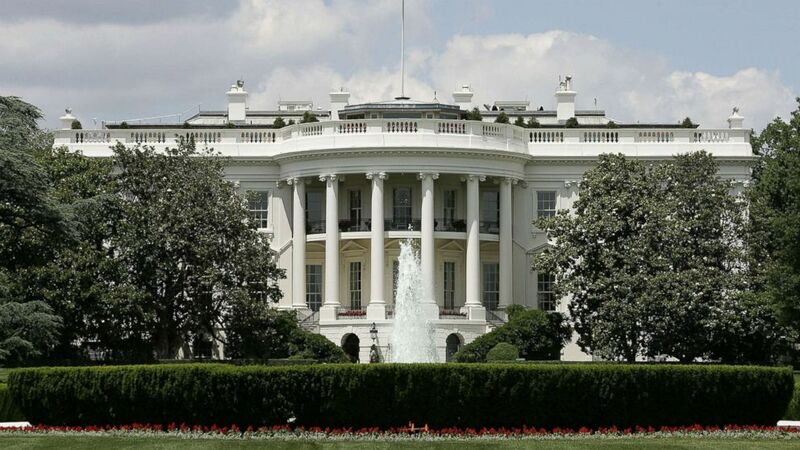 "It is a priority of President Trump's to ensure safety on the White House Complex and continue to preserve the history of 'The People's House' for the next generation of Americans," White House Deputy Press Secretary Hogan Gidley said in a statement. "Many of the renovations have been planned for several years and are critical to be completed now." On Monday, the White House said the Oval Office would be undergoing renovations, but it was not included on the full list of repairs sent out on Tuesday. The White House did not respond to an inquiry from ABC News about what updates were being made to the president's workspace.